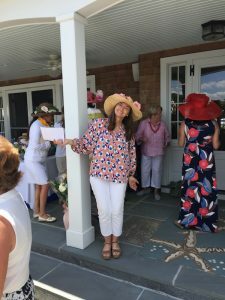 The Stonington Garden Club is a nonprofit, member driven organization based in Stonington, Connecticut. Our mission is to educate and encourage interest in the environment, conservation, community projects and to stimulate the knowledge and love of gardening. FREE SGC PUBLIC EVENT – On Thursday April 25, 6pm at the La Grua Center in Stonington, the Stonington Garden Club will host a presentation from The Nature Conservancy on Sound Planning for the Future; the Long Island Sound ‘Blue Plan’. This plan maps out wildlife habitats and human activity in an effort to support traditional uses of Long Island Sound like fishing and boating while also protecting the Sound’s ecologically significant places. Come and hear Frogard Ryan, TNC CT State Director, and Nathan Frohling, TNC Director of Coastal and Marine Initiatives discuss the Blue Plan, and be part of the public participation process! Club members are a diverse mix of active and dynamic members- we are young parents and grandparents, empty nesters and singles. We are artists, designers, master gardeners and novice gardeners, community and school volunteers, business owners and teachers. We all have an interest in learning more about our gardens and helping each other. We love to beautify our community and are very much interested in educating ourselves about a variety of garden related subjects, really, anything garden related! We strive to protect and learn about our natural resources and plants. We have great pride in our Stonington community and its environs. For almost 100 years we have had a lasting impact in our community. We all learn from each other and share our garden story triumphs and learn from our garden goofs! Our Club has monthly meetings from September through to June. We have guest speakers, workshops, demonstrations, and in-club flower projects. During the summer months we help in a variety of outside gardens, getting down into the dirt in The Children’s Garden at the COMO, The Lighthouse Garden, and the Post Office Garden. We also supply flowers to the Stonington Free Library weekly, go on field trips and have a fabulous floral booth at the annual Stonington Community Fair. We are also proud of our legacy of giving. Please visit our list of organizations that have received funding from the SGC in the past year. Please take a look at our website, click around, you will see all that we do and find resources to help you in your garden. If you are interested in membership please click on the Membership button to learn more. Do you have a question? Give us a call, check out our “About Us” page, we look forward to hearing from you. 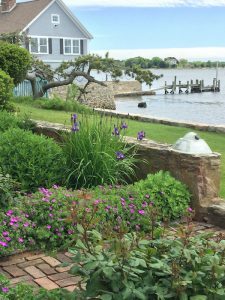 The Stonington Garden Club is a proud member of The Garden Club of America, National Garden Clubs, Inc., and the Federated Garden Clubs of Connecticut, Inc.